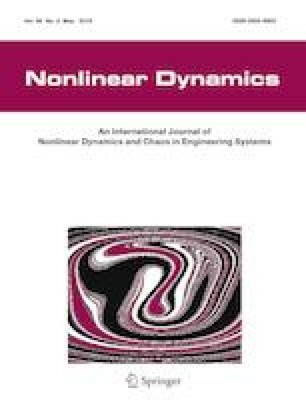 In this paper, a modified short-time Gaussian approximation (STGA) scheme is incorporated into the generalized cell mapping (GCM) method to study the stochastic response and bifurcations of a nonlinear dry friction oscillator with both periodic and Gaussian white noise excitations. Firstly, the Fokker–Planck–Kolmogorov equation and the moment equations with Gaussian closure are derived. Because of the periodic force and the singularity of moment equations in the initial condition being a Dirac delta function, a set of novel STGA solutions of the conditional probability density functions (PDFs) over each small fraction of one period is then constructed in order to form the solution over the whole period. At last, the transient and steady-state response PDFs are computed by the GCM method. The accuracy of the results is demonstrated by the direct Monte Carlo simulations. The transient PDFs are presented when evolving from a Gaussian initial distribution to a non-Gaussian steady-state one. The effects of periodic excitation and dry friction damping on the steady-state stochastic response are particularly discussed. When the amplitude of periodic excitation is changed, both stochastic P-bifurcation and D-bifurcation are detected. It is also found that the increase in the dry friction damping coefficient makes the chaotic response disappear gradually, inducing stochastic D-bifurcation but no stochastic P-bifurcation. This work was funded by the National Natural Science Foundation of China (Grant Nos. 11672230, 11532011, 11702214) and the Fundamental Research Funds for the Central Universities (Grant Nos. 2662017QD024, 2662018JC007).